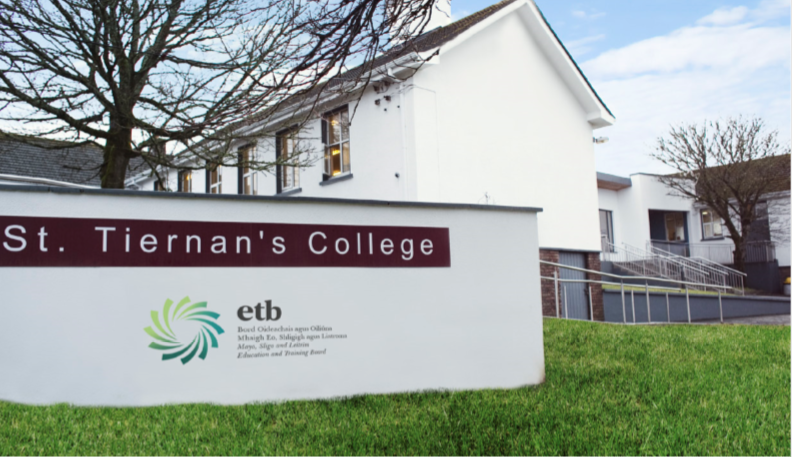 St. Tiernan’s College, Crossmolina is dedicated to providing a high quality of Education. We provide a caring environment for our students to learn and it is our hope that each student will reach their full potential during their time in our school. We have a vibrant professional and dedicated staff team whose objective is the development of every student. St. Tiernan’s is a place of learning. We expect the very best from every student. We encourage and expect hard work from our students so that their potential can be attained. We have a quality curriculum in both our Junior and Senior cycles which aspires towards academic excellence whilst also meeting the needs of students with special needs. The wide range of subjects that we have available gives everyone the opportunity of choosing subjects that suit them best. This is followed by expert assistance from our Guidance Counsellor to allow students to make good career choices. We also take great pride in our sporting and extra-curricular activities, these are very important areas for the development of our students and we hope that they find them to be enjoyable experiences. If you require any further information, please contact the school directly.